If you have kids around and you want them to eat in an organized manner, then grab this 3-section dinner plate. It is easy and fun even for the picky eaters. The plate has 3 section divided parts, so you can separate dishes while serving everything in one plate. It is perfect for introducing a balanced diet and new foods. This divided plate for kids has separate compartments to prevent food from sliding and mixing. This dinner plate is great for holding rice, salad, vegetable or other food. Great for home, camping, picnic, etc. This plate is washable and reusable. This plate can be carried outside conveniently. All dishes can be served together in one plate. Inside or outside - these platters make mealtime neat. Make your meal time easier by yourselves! It features with high quality and competitive price. This rectangle divided plate with 3 sections is great for diet control and offers balance of healthy foods. 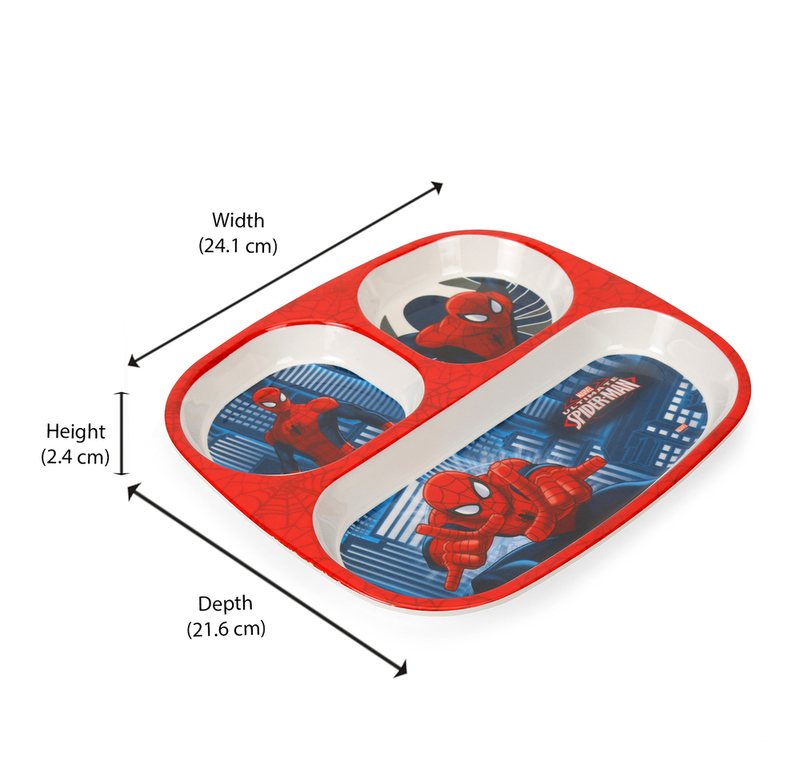 The Spiderman design would attract your kids and they will easily finish their meal looking at its design. The product has no chemical colours in it, hence it is totally friendly for the kids. Buy this from @home and enjoy your happy meal!